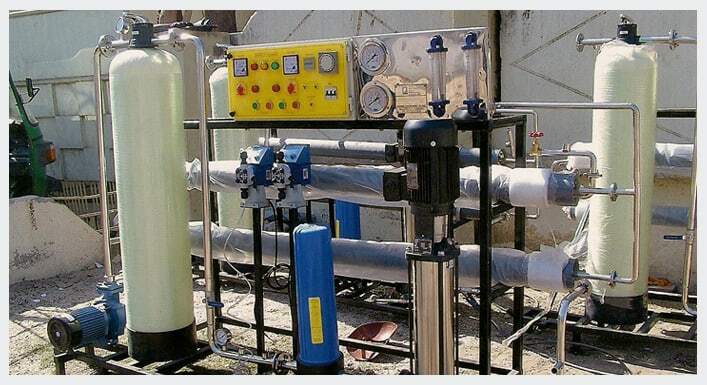 The process involving the working of the Reverse Osmosis Plant or RO plant is something you should need to know about before you choose a product for it. Let’s take a hypothetical experiment. In the experiment, there are two compartments in a container. 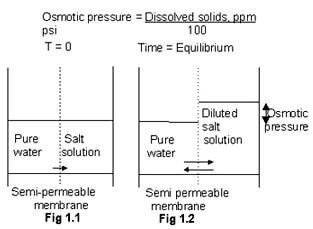 The division is done using a membrane which is semi-permeable in nature. The membrane helps in passing of the water and barring of the other elements like the salt. In the container, the left hand container gets filled with the water which is pure. The left out solution is accumulated in the right side. The division of the water into two distinct parts is known as osmosis. 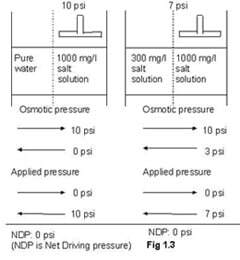 The process of osmosis makes right hand solution level to rise. This makes the level of the left hand solution to fall. At the starting, both the compartments have the same level, however, slowly there is a difference created between both the levels. Slowly after some point of time, the reserve flow and the flow due to osmosis are almost same. That is the stage when the exchange of water in the compartments seizes. This is a special condition which is referred to as the osmotic equilibrium. Also, in this stage a difference is formed between the levels of the two compartments. That difference is known as osmotic pressure. This pressure has a direct relation with the concentration of the solution. Now, when there is an exertion of external pressure in the right hand compartment of the container, then due to osmosis the flow of the water stops. This is when the aspect of equilibrium is reached. The difference that is created in the concentration in the two compartments has the relation of being directly proportional to the pressure that was applied from the outside. Though, while salt and other components are rejected by the membrane. The left-hand compartment is filled with pure water. The right hand compartment is filled with a salt solution. The water starts flowing to the left hand compartment into the right hand compartment if there is an external pressure applied and the pressure is increased. This is the process which is referred to as the reverse osmosis. The pressure is applied in this process purify the salt solution and extraction of the pure water. Thus, this process is most effective when the water needs to be produced from water with low salt content. The product which is developed by the INDION Series in the field of the reverse osmosis is absolutely effective. This product has a high working capacity and it also proves to be amazingly cost effective. This product is capable of removing about 98% of the mixed salt from the water. There are many features which have been incorporated in this product. Here are some of its key features. 1. The electrical capacity is that of 415V with phase 3 and 50Hz. 2. The product concentrate on discharging and draining at the ‘O’ ring psi. 3. The flow rate of the product is that of 1.5 to 32 m3/hr. this is equivalent to 4.4 – 140 GPM. 4. Depending on the composition of the feed water the salt rejections goes up to 98%. 5. The recovery of the product varies in a range of 50% to 80%. 1. The water for feeding the boiler can be prepared. 2. It can also be used to develop ultrapure water for electronic industry. 3. The same can be done for the pharmaceutical industry. 4. For the manufacturing plants the process water can be prepared. 5. It is perfect for developing of clean drinking water. 6. It can produce water which will be perfect for using in the industries relating to bio-technology. 7. The beverage industry can make use of this product. 8. This product can be easily used in the industry of food processing to use clean water. 9. The industry of wastewater treatment can also use it.